← One last summer weekend. I love the concept of minimalism, but I will admit, sometimes I have a tendency to be a bit too minimalistic, at the cost of my sanity. This is especially true with baby products. There are some products out there that just make a ton of sense that I resisted buying because I naively didn’t think they were necessary. 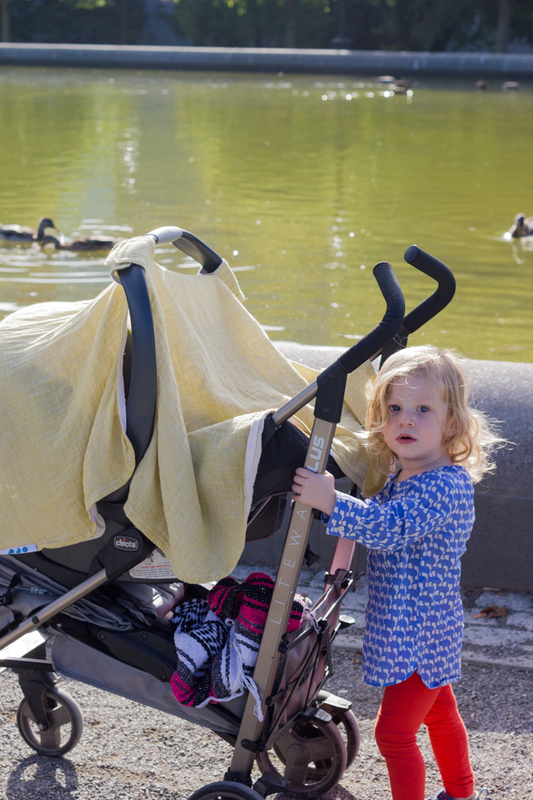 Take the carseat canopy, for example. I know, I know, you’re all thinking, “Duh, Lisa, it’s a complete necessity!” And you are correct. But instead of actually purchasing one of these, Tim and I decided to use a swaddle blanket held to the carseat with plastic clips, instead. Not only did it look ridiculous, but everytime we wanted to see our baby we had to lift the whole blanket up, blinding her with sunlight and waking her up in the process. So after this minor sunburn incident, I knew something had to be done. And I bought this from Hemmed In, and it has been one of my greatest baby product purchases to date. The carseat canopy is currently attached to Isabelle’s carseat at all times. It shields her from the sun and indoor lights and the attention of toddlers when we’re at an activity while she’s trying to sleep. It also keeps the rain and wind off of her. 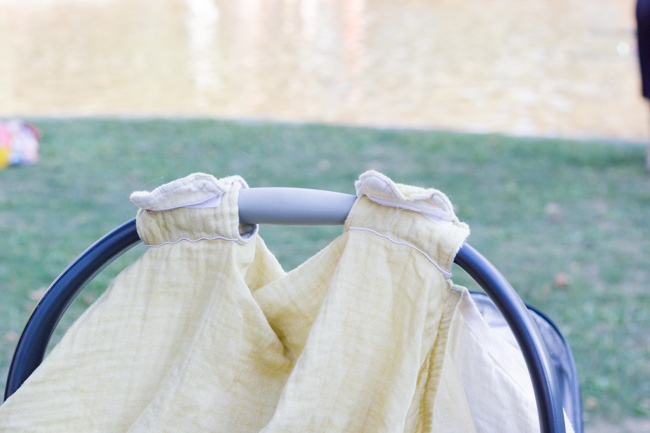 PLUS, it can be used as a nursing cover and a blanket for tummy time when we’re out and about. I’ve used it for both. (I don’t actually use a nursing cover, but I did pump in a room full of friends, using this cover and it was fantastic!) It can also be used as a shopping cart cover, which is genius but I haven’t used it for that yet, since Isabelle isn’t yet able to sit independently and Clara prefers to walk around the grocery store so she can take everything off the shelves. (Please picture me rolling my eyes as I type this.) When this cover needs to be washed I throw it right in the washing machine, and it’s good as new. Is it ridiculous that I consider such a simple product to be so life changing? Maybe. But when I come across something I think you (if you’re a mom) need, or that you can buy a friend for a baby shower, I need to tell you! I plan on making this my go-to gift for all baby showers. It’s the perfect price, it’s super functional, it can be used year-round (it will also be great at keeping the wind off Isabelle going to and from the car all winter! ), and it has allowed my baby to sleep a bit longer. Now, because I am a wee-bit crazy, I did ‘research’ these covers a bit before I decided on one. I had a hard time figuring out whether I wanted one made from a lighter material or one with a heavier material. I’m so glad I chose a light one. Isabelle is a hot-blooded baby and this seems to keep her cooler instead of warmer – thank goodness. When it gets colder out I plan on throwing a blanket on her inside the carseat, but I will still be using this particular cover. I think if I went with a heavier one I would have had to buy two, which goes completely against my minimalist mindset. 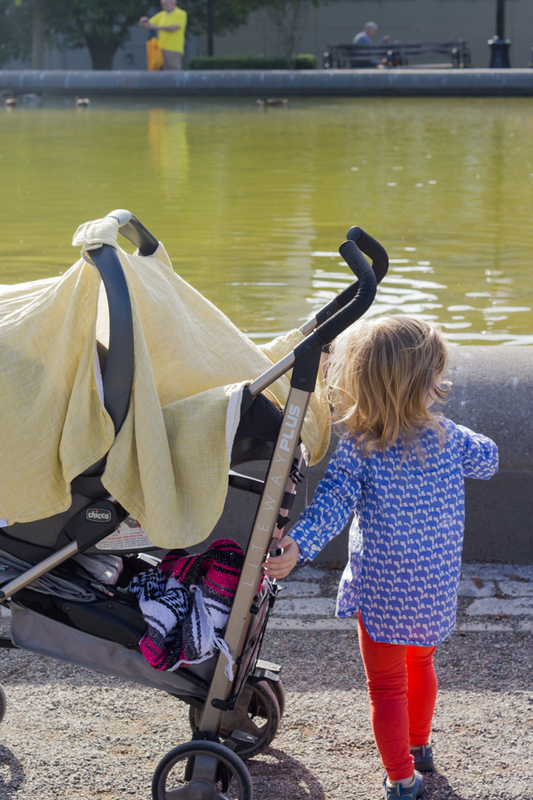 I know there are a few different products like this out there, but I love Hemmed In because they’re a small business, the carseat canopy can be used as a nursing cover, and their mission is to help moms simplify their life (or at least one part of it!). Their hashtag is #simplifylifewithbaby and that totally resonates with me. Plus, the owner is Christian and quotes Psalm 139:5 on the packaging, “You hem me in, behind and before, and You lay Your hand upon me.” How amazing is that?! AND, Hemmed In donates a portion of every sale to the work of Hope House in supporting parenting Teen Moms & their children right here in our Colorado community. 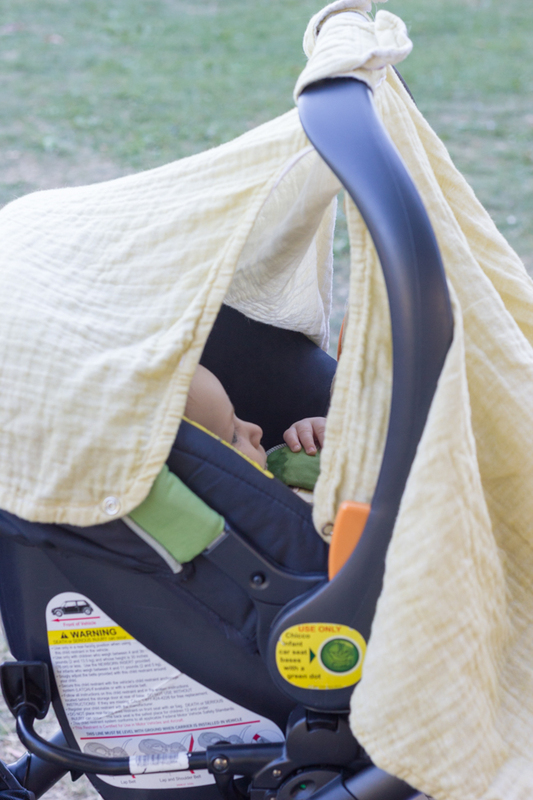 If you don’t need a carseat canopy (but trust me, you do), their swaddle blankets are so adorable (and gender neutral without being boring!) and I love how they feel. This entry was posted in favorite things, shopping and tagged baby products, hemmed in, minimalism, registry. Bookmark the permalink. 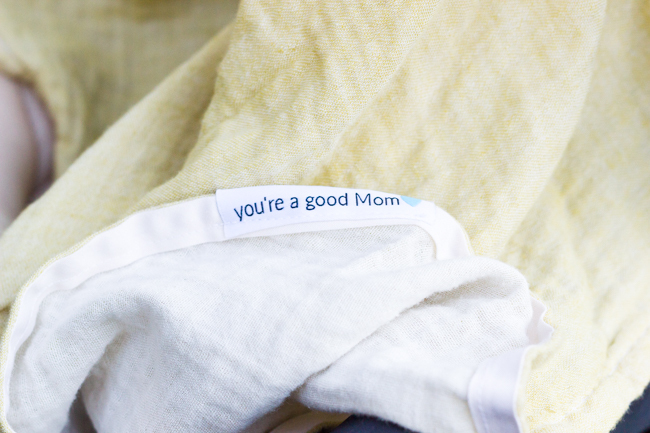 awhh I love that the tag reminds you of being a good mom. so cute! RIGHT?! I need the reminder some days. And by ‘some’ I mean ALL. I think a lighter fabric canopy is definitely the way to go! I’m a sucker for yellow too – especially in the summer!